Need more seating on the sidelines of your sporting event? The traditional 8 foot flat bench can provide a long lasting solution. The combination of design and materials present quality and style to the user. The 100% recycled plastic lumber construction is held together using stainless steel fasteners making it durable and maintenance-free. It will not rust, or need paint. The recycled plastic lumber with rich, bold colors molded-in is available for this product in our full spectrum of offered colors which make them a complimentary and attractive application. 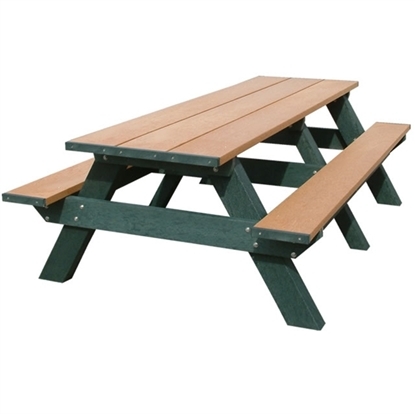 This traditional flat bench is ideal in so many areas, nature trails, nature arenas, locker rooms, sidelines of sporting events. The top is assembled in our factory saving you time and money. Our optional anchor kit is available to securely affix the unit in place to aid as a theft deterrent.